Eagle Rock Home Entertainment has announced that it’ll release a brand new documentary on the making of Amy Winehouse’s seminal album, Back To Black on Blu-ray, DVD and digital on November 2nd via Eagle Vision. The exclusive bonus feature on all formats is a recently unearthed private performance from February 2008, in which Winehouse performs some highlights from Back To Black and a handful of choice covers. This material has never been seen before. Amy Winehouse – Back to Black tells the real story of how Winehouse’s best-known and most celebrated body of work came into being. Shedding light on the creative process, it features previously unseen footage of Winehouse, new interviews with producers Mark Ronson and Salaam Remi, the musicians and others who worked on the album with her. It offers fresh insights into Winehouse’s remarkable gifts as a singer, songwriter, musician and performer. 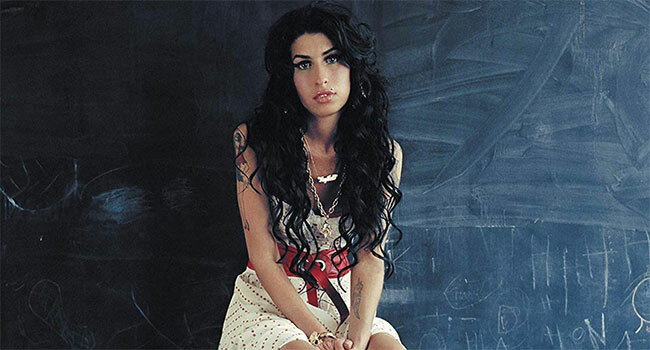 The release also includes An Intimate Evening in London, footage from a private show Winehouse hosted in February 2008 at Riverside Studios, west London, which has never been seen – until now. It’s a rare and joyous treat – having only been recently discovered after being in archive for a decade – as Winehouse plays to a small and select group of family, friends and record company execs on the evening she won five Grammy awards. Her warmth, wit and sheer exuberance – not to mention that voice – is a stark reminder of what might have been. Winehouse died from alcohol poisoning in July 2011. After her tragic death, Back to Black was the UK’s best selling album of the 21st century for a time.